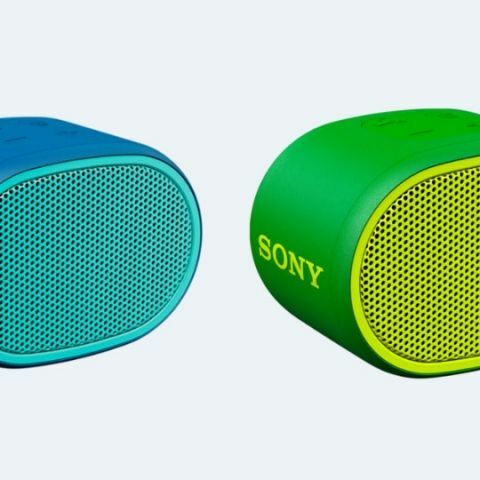 The new Sony SRS-XB01 Bluetooth speaker comes equipped with a 37.5mm mono speaker unit. Sony has expanded its EXTRA BASS series of speakers with the newly launched Sony SRS-XB01. Priced at Rs 2,590, the new speaker supports audio playback with Bluetooth 4.2 and is said to maintain connectivity at a distance of up to 10m. The device is IPX5 rated and it comes equipped with an 800mAh battery that is said to deliver up to 6 hours of battery life. SRS-XB01 will be available across all Sony Centers and major electronic stores in India. Additionally, SRS-XB01 will also be available on Flipkart. One can choose from a selection of six vibrant colors, which also comes in a two-tone design for added style.